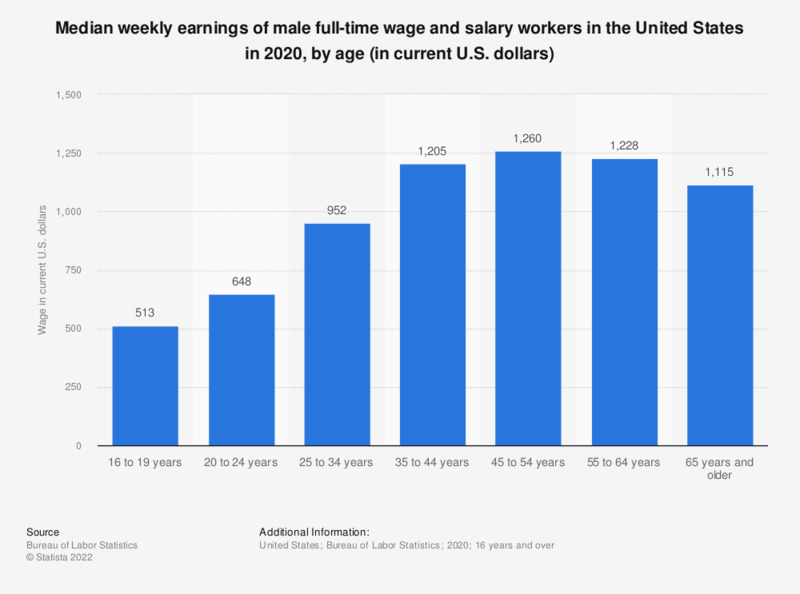 This statistic shows the median weekly earnings of male full-time wage and salary workers in the United States in 2017. In 2017, the median usual weekly earnings of employed men over 65 years amounted to 1,016 current U.S. dollars. Have you ever asked for a promotion?